Our purpose is to reach out to individuals and families to help equip them with the tools to create their own unique Lifestyle Management Plan. Our mission is to educate and encourage the aging service network community of Baby Boomers to be more visionary in their personal and professional lives. Darlene Jalowsky is the CEO of Baby Boomer Support and Senior Support Services. A Baby Boomer herself, Darlene is drawing upon her own life lessons and experiences gathered during her more than two decade career in Care Coordination, Marketing and Public Relations in the healthcare field. 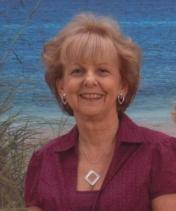 She hopes to speak to you both personally and professionally about Baby Boomer issues. Aimee Fowler is a Registered Nurse, and as the daughter of a Baby Boomer and being in the healthcare industry herself, she has seen first hand the difficulties that families face as their loved ones become older and need more intensive care than the families are able to provide alone. Together, we hope to ease the transition by providing knowledge, advice, and guidance to help you care for yourselves and your families, in the most beneficial way possible.